Calling all kings & queens! 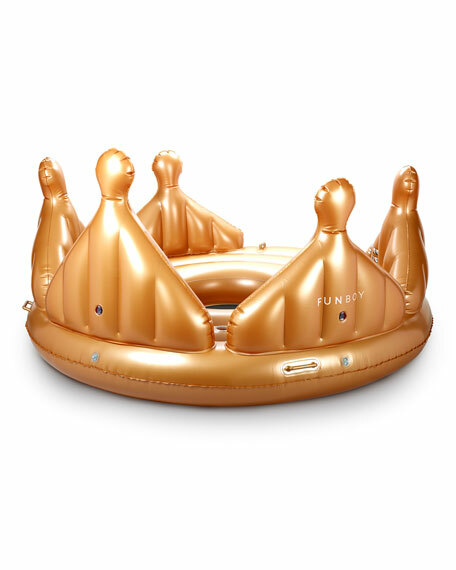 Float like royalty on the massive FUNBOY Crown Island. 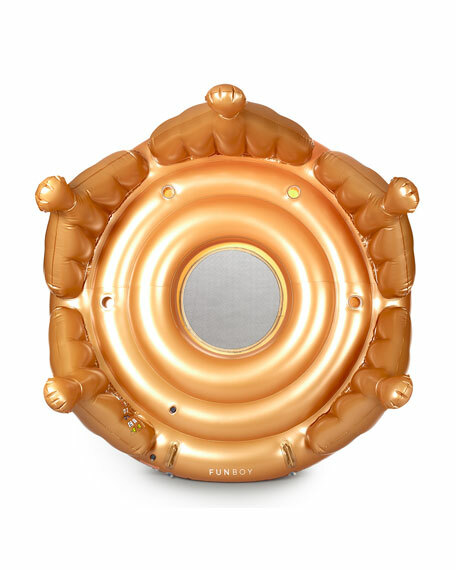 Integrated crown points provide royal lounging and integrated cup holders keep your drinks secure. 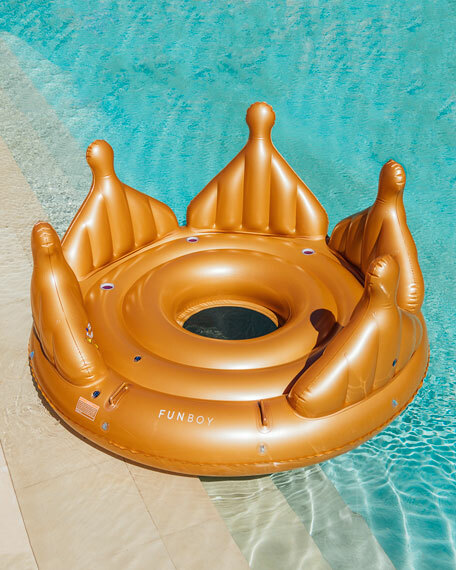 Durable construction for lasting summer fun. 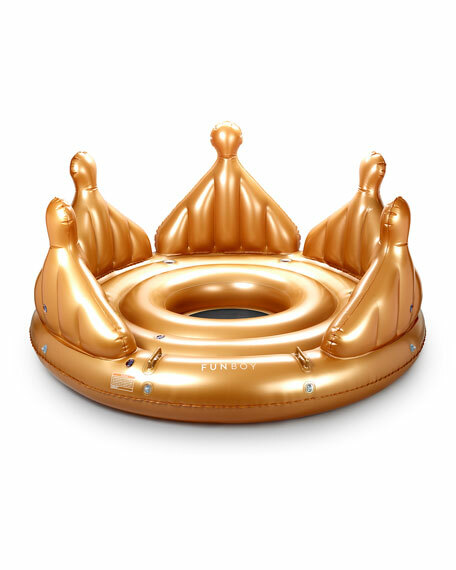 Crown pool float seats four adults. 29"W x 12"D x 98"T.